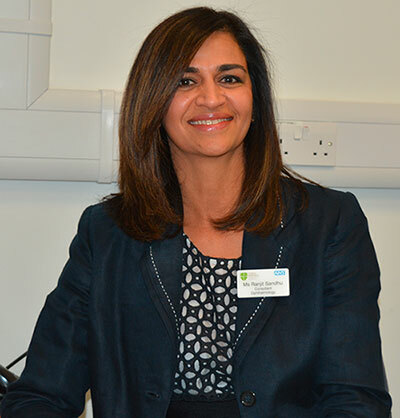 Ms Sandhu undertook the vast majority of her postgraduate ophthalmic training at King’s College Hospital in London and Addenbrooke’s Hospital in Cambridge, acquiring general and specialist ophthalmological experience. She completed her Fellowship obtaining her postgraduate doctorate (MD) at University of London evaluating ocular blood flow in retinal disease, in particular Age-related Macular Degeneration and Diabetic Retinopathy. She complemented her postgraduate clinical training by completing a further Fellowship in Medical Retina and Uveitis at Moorfields Eye Hospital, an eye hospital of international acclaim. She is an experienced cataract surgeon offering spectacle free near and distance vision with customised Multifocal and Toric lenses. She has over 15 years of experience in her specialty.